GalactiCraft 1.7.2 and 1.7.10 is a mod that allows us to create our own spacecraft, which will use it to travel and discover planets and moons (not yet implemented). To do this we start building a base shuttle and “NASA Workbench” block to create the spacecraft. But remember that you must create you a spacesuit with oxygen tanks to breathe. Once inside our ship, we mark our destination and ship fuel load to get out into space. Once the ship starts climbing higer in the sky we are asked if we want to explorer the space or travel to the moon. The mod adds three new ores, such as titanium, aluminum and copper. With titanium can make same weapons and tools but from this new material, also titanium armor, among other surprises. 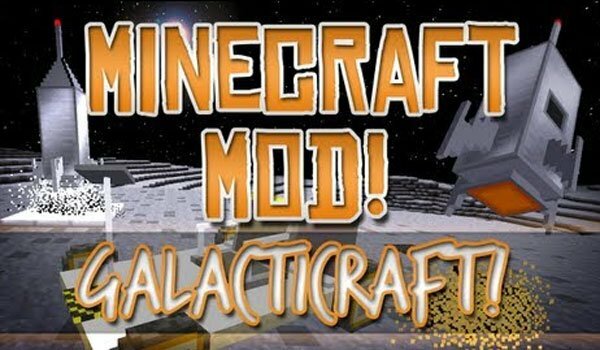 How to install GalactiCraft Mod for Minecraft 1.7.2 and 1.7.10? Thought this was to be put in “coremods” folder? use the tanks of fuel/oil instead. if they’re not there (the tanks), it may have been insalled incorrectly. How to I open the Galacticraft Inventory. I mean were you have to add the oxygen tanks and the parachute, etc. I extracted all the different mod files into the mods folder but i don’t see any mods showing up when i start the game. It just loads up regular with no extra items or textures or anything. HELP PLEASE!!! !